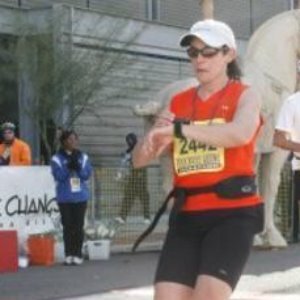 I have over completed 50 marathons and 40 ultra marathons, achieving All American in the marathon in 2007. I was a 2012 finisher of the Badwater Ultramarathon, recognized as "the world's toughest foot race". I am a USATF Level 1 Track & Field Coach, certified Strength & Conditioning Coach and certified by USTFCCCA in Track & Field Technical Coaching. I am CPR/AED/First Aid certified. We will work together to develop a training plan this fits your current fitness level, time commitment and goals. I am a firm believer in cross training for injury prevention. Success. Coach Ethel Cook has been notified of your message.